"We will be alright?" Fox Searchlight has debuted the first official UK trailer for an indie drama titled The Aftermath, set in Hamburg in 1946 just after the war. The film is about a British Colonel, Lewis Morgan, who has been charged with the task of rebuilding of this devastated city and denazification of its defeated people. Rather than force the owners of the house they will live in to leave, he insists the two families live together. Once his wife arrives and moves in, her hatred for the Germans changes when she begins to fall in love with the owner of the home. Keira Knightley stars with Jason Clarke, plus Alexander Skarsgård, Kate Phillips, Jannik Schümann, Fionn O'Shea, and Alexander Scheer. This is a better trailer than the first one, and it shows much more of the story as it progresses into intense "romantic thriller" territory. You can still watch the first US trailer for Kent's The Aftermath here, for even more footage from this. Set in postwar Germany in 1946. Rachael Morgan (Keira Knightley) arrives in the ruins of Hamburg in the bitter winter, to be reunited with her husband Lewis (Jason Clarke), a British colonel charged with rebuilding the shattered city. But as they set off for their new home, Rachael is stunned to discover that Lewis has made an unexpected decision: They will be sharing the grand house with its previous owners, a German widower (Alexander Skarsgård) and his troubled daughter. In this charged atmosphere, enmity and grief give way to passion and betrayal. 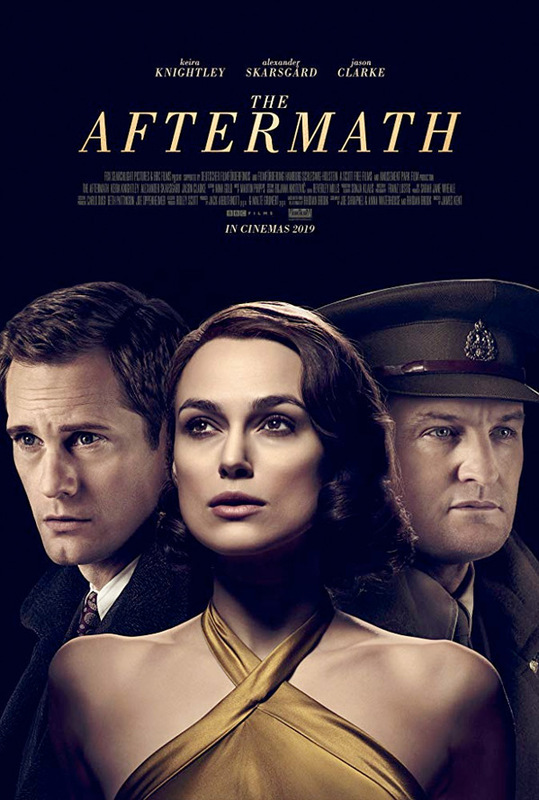 The Aftermath is directed by British filmmaker James Kent, of the film Testament of Youth previously, plus TV work including "Inside Men" and "The White Queen". The screenplay is written by Joe Shrapnel and Anna Waterhouse; based on the book by Rhidian Brook. Fox Searchlight will release The Aftermath in select theaters starting April 26th, 2019 next spring. Intrigued?